Walking Together is one of the first projects to come under my new social enterprise, Dingy Butterflies CIC, working in Bensham. 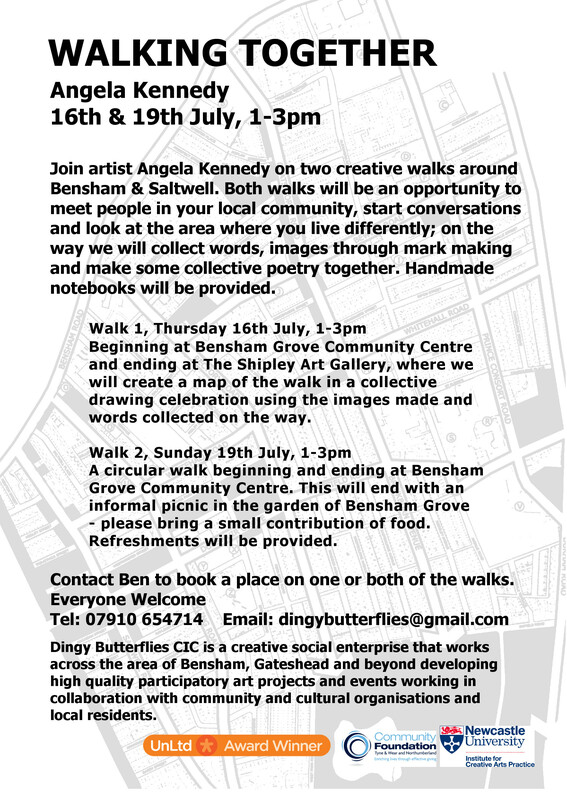 Angela Kennedy will lead two walks around Bensham taking in the area, bringing people together in a creative way. Walk 2: Sunday 19th July, 1-4pm Bensham Grove Community Centre and back, where there will be an informal picnic in the Victorian Garden after the walk. 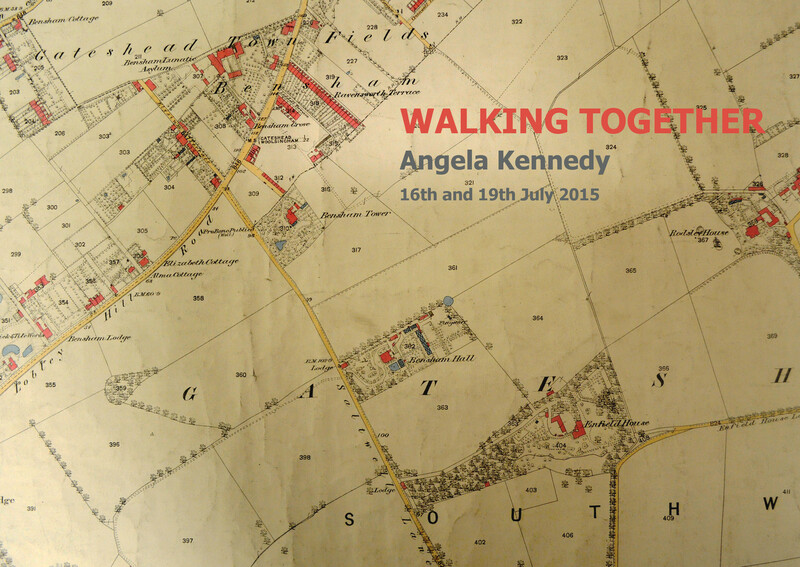 This entry was posted in Social engagement and tagged Bensham, Bensham Grove, Shipley Gallery, Walking. Bookmark the permalink.